I have worked in clay for 28 yrs and full-time in my own studio since 2004. 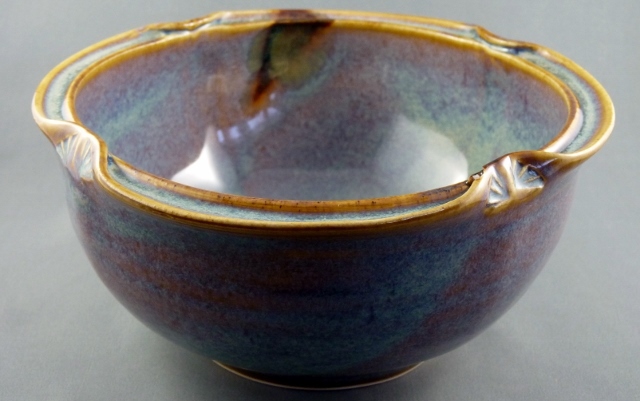 I teach 4 sessions of adult pottery classes here each year, September to March as well as offer an "open studio" option for more advanced students where they can work on projects in my studio with my coaching only as required. Creating in clay allows the rich unknown within me to emerge into visible form. I have attended numerous workshops over the years on many topics and never fail to learn something new, often from fellow attendees! Fortunately, I have never lost my childhood curiosity so many of the techniques I use are self-taught.